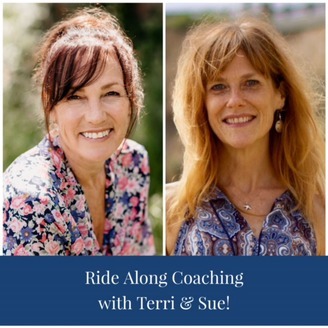 Terri Schmidt, Intuitive Life Coach and Sue Seely, Holistic Self-Care Coach & Hypnotherapist: Podcasting on the road throughout Northern California! 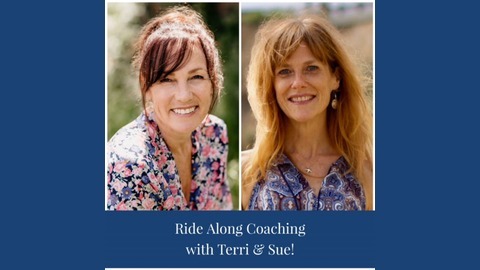 Ride Along with Terri & Sue while they infuse humor and insight with their professional & personal experiences. You will enjoy their authentic, transparent, "off the cuff" flow as they offer tips and tools to create powerful shifts in your life. They cover such topics as: goal setting, getting your life back on track, experiencing joy & gratitude in every day, self-care, chronic illness, faux fears, anxiety, holding yourself accountable, controlling the universe, the law of attraction, and more! If you're ready to make some honest changes, learn about energy healing, trusting your intuition, and want to laugh a bit, hop on in and let's go for a ride! Find us at: www.terrischmidtcoaching.com and www.coachsueseely.com.